One of the most beautiful and magical places in the world, Orlando will allow you to embrace your inner child as you adventure through its world-famous theme parks. If your idea of fun is more relaxing than riding, Orlando holidays have plenty to offer in the form of serious shopping malls, delicious dining experiences and vibrant nightlife too. With a permanent summer climate and endless things to do in Orlando, it’s one of those holiday destinations that cater for everyone. You can make the whole family’s dreams come true with our cheap Orlando holidays 2019/20. We have plenty of flights to Orlando to choose from that will take you direct to the year-round sunny Orlando weather and land you right in the heart of the action. Holidays to Orlando in winter provide the perfect escape from the cold and rain, so visit Orlando in 2019 and discover the holiday of a lifetime! We also offer cheap flights to Orlando - grab a great deal and book your next Orlando break with Netflights.com! With the house of mouse setting up home here decades ago, you’ll be able to relive those childhood memories as you check out Walt Disney World Resort in Florida. Packed with theme parks, including Epcot and the Animal Kingdom, huge shopping malls, and endless stretches of beautiful beaches, your holiday to Orlando will be everything you ever imagined… and more. With a landscape that’s captured imaginations and brightened so many lives over the decades, the Sunshine State has everything you could ever want. 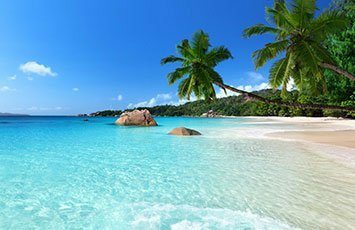 With the basic ingredients for a holiday, including the fantastic weather in Orlando, and some of the world’s most thrilling attractions and theme parks, a Florida holiday is a sure fire hit for the whole family to enjoy. Although Orlando is a beautiful and vibrant city, if you travel beyond the tourist haven you’ll find the beautiful suburbs. International Drive Orlando is a hub of excitement and the near-by Kissimmee is filled with stunning gardens and well-appointed accommodations amongst its picturesque cityscape; ideal if you’re looking for a Florida villa holiday. 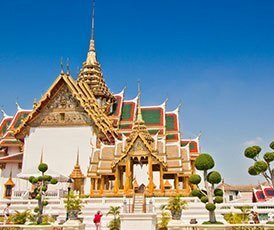 This wonderful and less touristy city is proud of its unique and wonderful heritage, which houses an impressive array of arts, culture and leisure facilities. As the world’s biggest and best playground, everyone can a have fun-filled holiday adventure, whether you’re a child or just still one at heart. Orlando holidays offer educational experiences at the Kennedy Space Center and Orlando Science Center, as well as great boat tours that sail through the complex canal system and stunning landscapes. Of course it wouldn’t be a true Orlando adventure without visiting at least one of the many theme parks. It doesn’t matter how old you are, these adventures can be experienced and enjoyed by all. From the colourful lands of Disney’s Magic Kingdom®, filled with everyone’s favourite characters, to the Wizarding World of Harry PotterTM at Universal Orlando Resort™, you’ll have the time of your life! 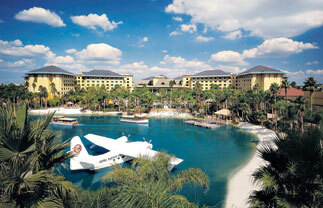 Walt Disney World Resort in Florida is possibly one of the most well-known and well-loved places on earth. It sparkles with Disney magic that is famous the world over. The gateway to the Magic Kingdom® is found on Main Street USA, which is lined with amazing shops, restaurants and superb vantage points for the nightly parade. This epic walkway leads you to the various ‘Funlands’ within Walt Disney World, filled with rides, attractions and dining spots. Take in awe-inspiring views of Cinderella's Castle, Space Mountain, Splash Mountain and the Big Thunder Mountain Railroad, amongst numerous other iconic sights. Head over to the likes of Adventureland, Frontierland, Tomorrowland and Liberty Square, filled with amazing attractions including wild-west villages, sci-fi zones, tribal forest clearings and medieval townships all kitted out with the most thrilling, state-of-the art rides. By far the most popular place in the park for younger children is Fantasyland. Here, Disney's roll-call of famous characters rule the roost, keeping children entertained between their time on rides. Top Rides include Pirates of the Caribbean (Adventureland), Big Thunder Mountain Railroad (Frontierland), Space Mountain (Tomorrowland) and Buzz Lightyear's Space Ranger Spin (Tomorrowland). End the day with fireworks and a rainbow-illuminated parade of your favourite Disney characters. 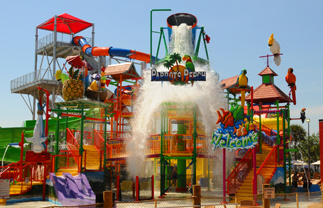 Enter the splashtastic world of Disney’s water park, jam-packed with amazing water rides. Experience the amusingly named, yet incredibly thrilling, Humunga Kowabunga. Alongside the rides you’ll also find North America’s largest wave pool; it seems the Disney magic knows no boundaries in this world of water. Enjoy the vast abundance of rides and adventures in this enchanted land, where you can enjoy the Lion King festival, navigate the river rapids on a creaky raft, board the snow train in search of a Yeti, take a Kilimanjaro safari or enjoy Everest, complete with Himalayan village recreation. However, the true magic here is the beautiful animals including zebras, crocodiles, white rhinos, giraffes, lions, hippos and elephants. As the saying goes ‘there’s no business like show business’ and that’s evident here at Disney’s Hollywood Studios. This high-tech meets nostalgia hybrid pays homage to the silver screen in a series of themed rides and attractions. Prepare yourself for the likes of the Tower of Terror, the Rock 'n' Roller Coaster, and sound and light spectaculars starring the Little Mermaid, Beauty and the Beast, and friends. No other place on earth can take you Around the Globe, Under the Sea, and into Outer Space, all in the same day. Epcot is a beautiful and charming period piece with the power to captivate and thrill you no matter how old you are. With the giant golf ball taking centre stage, you can enjoy the thrills of the Spaceship Earth ride, the Imagination Institute, and Mission Space before witnessing the Test Track's crash test dummies road race. Top off a fabulous day of thrilling rides by experiencing the nightly 'Reflections of Earth' lightshow. Take your holiday to the next level at Universal Orlando Resort™. Three amazing theme parks, including an incredible new water theme park, provide days of thrills and adventure beyond your imagination. It’s the only place where you can experience the magic and excitement of The Wizarding World of Harry Potter™ at two parks, connected by the Hogwarts™ Express which you can ride* with a Universal Orlando™ Explorer ticket. Breathtaking on-site hotels put you right in the middle of it all. Plus, Universal CityWalk™ offers a dazzling variety of dining and entertainment options from early in the morning until the wee hours of the evening. It’s days and nights of endless fun for every member of the family. Holiday beyond anything you’ve experienced before at Universal Orlando Resort™. Immerse yourself in the next generation of blockbuster entertainment at Universal Studios™. You’ll enter The Wizarding World of Harry Potter™ - Diagon Alley™, encounter mischievous Minions and take on the new ride Fast & Furious – Supercharged™. Journey through the legendary worlds of incredible heroes at Islands of Adventure. Explore The Wizarding World of Harry Potter™ - Hogsmeade™, come face to face with King Kong, battle villains alongside Spider-Man, go on a high-speed rampage with The Incredible Hulk and flee hungry raptors in Jurassic Park™. Enjoy the thrills and relaxation of a tropical paradise like no other. At Universal’s Volcano Bay™ water theme park you’ll find an oasis of excitement along with laid back luxuries creating an entirely new holiday experience. 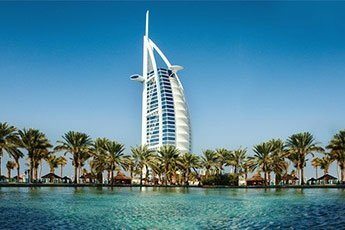 Unwind at your choice of spectacular themed hotels in unique categories – Prime Value, Preferred, and Premier – featuring a range of accommodations, amenities, recreation and special theme park benefits. *Additional restrictions apply. © 2018 MARVEL. Jurassic Park TM Universal Studios/Amblin. © 2018 BMP. Universal elements and all related indicia TM & © 2018 Universal Studios. All rights reserved. 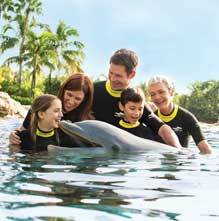 Fun for the whole family awaits at one of Orlando’s most famous and well-known attractions, SeaWorld. Here you’ll find an array of sea life including dolphins, whales, rays and sea lions that will wow you with their majestic movements and fascinating habits. Head into one of the world’s largest underwater tunnels and experience the wonder of one of the sea’s most captivating creatures at The Shark Encounter. Once you’re back above water, make sure you pay a visit to Mako™, the ride that takes riders on a thrilling experience – the tallest, fastest and longest roller coaster in Orlando. Mako’s design and engineering was inspired by the real Mako shark – one of the ocean’s fastest shark species. Mako tops 200 feet high and reach speeds of 73 mph on a track that’s nearly a mile long. This new ride is a hyper-coaster, so it’s all about speed, tight turns and the weightless feeling riders get at the top of each hill. Sink your teeth in! From the extravagance of the glitzy malls to the bargain prices of the outlet warehouses, shopping in Orlando is big business, with more variety than you can imagine. If you’re looking for a unique shopping experience then head to the independent boutiques, jewellers and galleries in Downtown Orlando, or if its big brand shopping that takes your fancy, head to Orlando Premium Outlets on International Drive, where you’ll find over 180 designer shops. If you’re looking for something a bit unusual then don’t overlook Orlando’s string of museums – they’re packed with weird and wonderful gift ideas. Filled to the brim with expensive stores, you can search the rails in more than 150 shops including Burberry, Gucci, Chanel and Cartier; help yourself to beauty products at L'Occitane and Sisley skincare; or try some chocolate treats at Lindt Chocolate. Alongside this you’ll also find major US favourites, Macy's and Bloomingdales, and if all the shopping helps to work up an appetite, there’s a food court filled with an extensive culinary offering. This is a shopping destination that caters for everyone. It features designer stores such as Victoria’s Secret, as well as department stores like Macys, and American favourites including Hot Topic. With an extensive food court and even a cinema inside, this is more like a day out than just a shopping experience. The superstar superstore to end them all; this is a shopping experience like no other. Featuring more than 150 stores including Banana Republic, Burberry, Coach, Cole Haan, DKNY, Kenneth Cole, Nike, Polo Ralph Lauren, Versace and many more, you’ll be able to snap yourself a bargain with discounts on many big brands. As shopping malls in Orlando go, this is much more; it’s also a fun-filled entertainment centre. Alongside a plethora of designer outlets including Tommy Hilfiger, Armani, and Hollister, you’ll also find an abundance of restaurants serving delicious cuisine, a 21-screen cinema, and the WonderWorks, a fun filled amusement park for the mind. Although best known for being a bustling tourist destination, Orlando has another side just waiting to be discovered. Beyond the frenzy of International Drive you’ll discover a laid-back side to Orlando, filled with a comprehensive range of arts, culture and leisure facilities; make the most of the great museums in Orlando. Founded in 1924, this beautiful and educational museum supports and reflects the growth of Florida’s art scene. An excellent place to visit for art lovers or those that enjoy experiencing something new, the museum has become a cultural institution over the decades. The museum is home to a fantastic collection of sculptures, art and photography dating back to the 19th century, sitting alongside the work of local artists and internationally significant creations. At the heart of the Morse Museum you’ll find the world’s most comprehensive collection of works by Louis Comfort Tiffany. This collection of Tiffany works includes exceptional examples of his delicate designs in glass and ceramics. Sitting alongside this prized exhibition you’ll also find a variety of other artworks including a major collection of American Art Pottery, and collections of late 19th and early 20th century American paintings, graphics and decorative art. For a glimpse into the history of Orlando and central Florida, this museum should be on your ‘to see’ list. Opening in the 1940s, this ever popular exhibit has become part of the furniture in Orlando’s landscape. The museum displays an array of historical objects, some dating all the way to the British Victorian era. If there’s one thing Orlando isn’t short of, it’s great places to eat. There’s always a good value, family-friendly buffet, or an all-you-can-eat diner just a stroll away from whichever Orlando attraction you’re headed to. From the family-friendly restaurants that can be found on every corner, to the city’s finer hotels serving up thrills on the plate big enough to rival the theme parks, the food scene in Orlando has it all - look out for big-name chefs making their mark on Lake Buena Vista, Kissimmee and I-Drive. The Disney restaurants are a step above what you’d expect from theme park eateries - kids will love the colourful menus (and you’ll love the healthy options) at the Rainforest Cafe and the Crystal Palace Buffet. Malls are also a good place to eat as they’re home to some seriously good Italian restaurants and seafood diners, while along I-Drive you’ll find an excellent array of Tex-Mex, tapas, steak houses and wonderfully inventive themed restaurants; with everything from 50s American diners and futuristic space-shuttle joints to Titanic-era fine dining. Universal’s Citywalk is a huge 30 acres of dining and entertainment venues, with the popular Hard Rock Café taking centre stage. From fine Creole cuisine straight from the Louisiana bayous, to "Cheeseburgers in Paradise", salsa, and steaks, this is the place to head for delicious and diverse dining for all the family. For an amazing night out in Orlando look no further than Disney Springs’ entertainment, shopping and eating complex, formerly known as Downtown Disney - this place truly has something for everyone. Take the time to experience the absolutely jaw dropping Cirque du Soleil’s modern day circus tricks. Then, head over to DisneyQuest which feature five floors of fun and games with rides, gizmos and arcade machines. If you want to party then The Landing is the place to be, filled with a range of bars and nightclubs featuring everything from an upscale waterfront dining experience at The Boathouse, to comedy shows, 80s discos and rock ‘n’ roll; this is a truly magnificent place to have a night on the town. Nightlife along I-Drive is definitely for the young and energetic, or those who like a touch of glitter and a dash of drama. Here you’ll find medieval banquets, ghostly castles, murder mysteries and middle-eastern Bedouin tents, alongside a variety of themed bars. Be shocked and amazed as you live the pirate’s life at the Pirate’s Dinner Adventure, often talked about as the "World’s Most Unique Interactive Dinner Show." This swashbuckling, action packed, multi-million dollar Broadway styled musical comedy adventure is fun for all. You can tuck into Caribbean delicacies served on board an authentic replica of an 18th century Spanish Galleon. If the thought of a leisurely stroll from bar to bar is more appealing head to the Wall Street Plaza. Here you’ll find a number of friendly bars and restaurants lining the busy street; for an historic downtown adventure, this is a great place to begin. For something a little out of the ordinary, try the Victorian themed Church Street Station. This unique station is spread out across several blocks, tying together a whole range of entertainment spots between the station and Orange Avenue, via the disused railway. Whether you want a disco, a themed restaurant or a rock bar, you’ll be sure to find it here. For those in search of a good laugh, check out the amazing Improv Comedy Club and Restaurant. Situated on Church Street, you can guarantee yourself a series of side-splitting laughs as big name headliners take to the stage alongside new up and coming talent. Although the weather in Orlando is great all year-round, the most pleasant weather is normally found between January and April when temperatures are in the mid-20°Cs; the perfect heat to explore in without feeling like you’re melting. September is also a good month to choose for your Orlando holiday as crowds are much less and there’s often great deals to be found. Crowds are at their highest in Orlando during the summer weeks when both American and British children are off school. The Easter and Christmas holidays are also busy periods, with prices increasing during these times. To beat the crowds, the best month to visit Orlando is September when travel deals are often at their best and the children are back at school. Do you need a visa for Orlando? When travelling to America, everyone must complete the Electronic System for Travel Authorisation, or ESTA for short, prior to their journey. This is a US Customs & Passport Control entry requirement. Please check with your tour operator when booking your holiday. Although Orlando is renowned the world over for its fun-filled theme parks, there’s much more to see and do. Explore the Sunshine State through the jam-packed calendar of events for a truly unique Orlando experience. The only full marathon to take place on the Disney property, this is a highlight in the Disney sporting calendar and one not to be missed. For a magic fuelled event with a fun atmosphere and the chance to see Walt Disney World in a whole new light, make sure you’re part of the action. The most important and prestigious race in the NASCAR calendar takes place annually at the Daytona International Speedway. Featuring 43 stock cars over a 500 mile long race, the atmosphere present is unparalleled by any other racing event. The 59th outdoor art festival will see over 350,000 visitors view artwork from over 200 artists with clay, glass, leather, paintings and sculptures. The three-day event also features show-stopping jazz, children’s activities and great eats. As one of the most respected and loved regional film events, the Florida Film Festival showcases the best in American independent and foreign films. This 14 day arts festival features an array of different performances as the world of theatre, dance, music and art collide. As the first American Fringe Festival it is now one of the largest in the United States. Enjoy yourself as you take in a variety of offbeat and often uncensored performances in this creative community that has won 18 consecutive ‘best festival’ awards. This annual festival is fun for all the family as you partake in popular events like the stomping of the grapes, whilst listening to a variety of live music. Embrace the culture as various local artists and crafters display their work for all to see. With a variety of food and drinks on sale, you can also partake in a complimentary winery tour and tasting. Celebrate the 4th of July in style at Orlando’s amazing fireworks display, located at the majestic fountain at Lake Eola Park. Filled with food, drink and music, you’d be mad to miss it! This annual event is held during September and October at the Magic Kingdom® theme park. 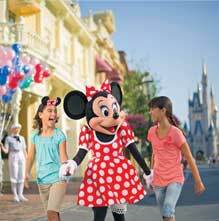 Experience the magic of Disney as the house of mouse unleashes exciting ghoulish events including a parade, trick or treating, fireworks, character meet and greets, stage shows and parties for the whole family to enjoy. Prepare for the ultimate Halloween experience as you head to Universal Studios at night. Featuring the likes of Dracula and Frankenstein, you’ll experience an assortment of frightfully exciting and scarily spectacular events including eight haunted houses, six scare zones and live shows filled with Universal Studios’ mutants, monsters and maniacs. It’ll be an all hallows eve you’ll never forget. The Orlando Museum of Art is transformed into a glittering wonderland filled with sparkling trees and stunning décor. A glamorous gala night marks the start of the 9-day event. The Festival continues with daily musical performances, fun family entertainment and delightful programmes for all ages throughout the week at the museum. The Wizarding World of Harry Potter transforms for Christmas as the snow falls and traditional garlands adorn the streets of both Hogsmeade and Diagon Alley. Enjoy festive food, drink and entertainment along with a Christmas cescendo every night as a magical spell is cast onto Hogwarts castle, cascading it in magic, candlelight and festive moments inspired by the films - a truly amazing sight! How long are flights to Orlando Florida? What is the main Orlando airport? 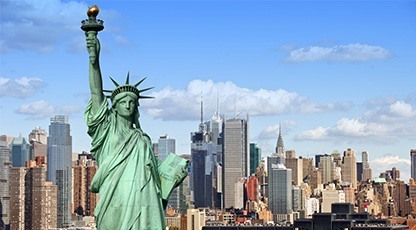 The USA has plenty more to offer alongside its wealth of great theme parks so why not experience the buzz of New York City find your wild side with a Las Vegas holiday or make the most of the year-round sunshine in Los Angeles. Looking for an alternative to our Florida holidays? Why not head to Canada for a winter adventure, book a Caribbean holiday to be pampered from head-to-toe, or visit the Far East for an eye-opening holiday bursting with cultural experiences. The above prices are based on 2 adults and 2 children sharing and are a guideline only. Prices are correct at the time of publishing. Subject to availability. Other travel dates are available, supplements may apply. Please use the search box or call for details. For more information please read our Pricing Terms and Conditions.